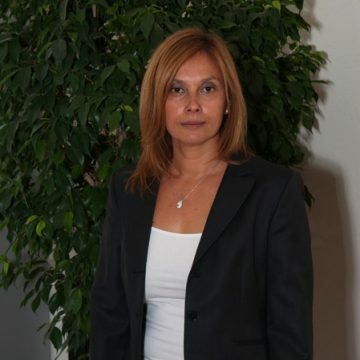 Sibel Akin has been involved in advertising and branding for over 18 years and worked for wide variety of international clients; from fast moving consumer goods to business-to-business clients such as Philip Morris, McDonald’s, Kellogg’s, India Tourist Office, DuPont De Nemours, Iceland Telecom, Microsoft Business Solutions and IUCN. After getting her associate degree in Management from Bogazici University and her BA in Marketing from Colorado States in USA, Sibel started her career in Istanbul in Leo Burnett Ad Agency and continued her fast track in Geneva, Switzerland. She worked in Grey Switzerland as Account Supervisor for 3 years and moved to Young & Rubicam as the Account Director of DuPont de Nemours, in 2001 she made a slight change in her career and shifted towards strategic branding and worked at Y&R Business Consultants as Project Manager till she set up her own company – BrandSens in 2005 . She later obtained a master in Media and Communication from International University in Geneva. She has been working with variety of Turkish and Swiss clients ever since, such as Turkcell, The LifeCo, Peri Yachts, RamCapital. She is Turkish and Swiss and her life is the reflection of this dual identity – during winter Sibel live and works, in Geneva, Switzerland and during summer in Alacati, Turkey. She is married and has two kids.